This is a life changing pursuit for anyone who's got half an inclination for the great outdoors and fishing. This game can completely consume your mind if you're not very careful and will put your head in a spin on any day you're booked onto a salmon river. When you're not fishing it'll make you browse in 'cyber space' for websites associated to all aspects of the game. That excitement and need for perfect preparedness is exactly the same for the vast majority of professional Scottish salmon men who still leap out of bed each day even after decades of full time river life. If you blend together God's finest migratory asset the wild Atlantic salmon, magnificent Scottish rivers, sparkling fresh water, amazing natural riverbanks and a vast array of riverbank creatures for some pleasant and natural background music then you'll start to see a part of the bigger picture. Add into the mix the thrill of the initial adrenalin inducing tug on your fly reel when a salmon shows interest which instantly focuses your thoughts well before the need to set the hook and you'll see another part of this 'amazing' natural pursuit. To do this and experience all the above with other like minded souls in a controlled group of tactical brilliance is as close to excellence as you'll ever find on this troubled planet. 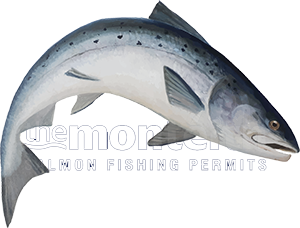 Don't be surprised in this business if you find yourself in a heightened state of excitement even prior to arrival in the morning at the salmon river and hours before you even get your rod built up. As a professional ghillie I never got annoyed with anglers who turned up at the fishing hut mega early while I was still getting ready for the fishing day as I never lost sight of why that had happened!